I have posted a couple of articles recently on XML Publisher report development within Oracle eBusiness applications (A Design Pattern for Oracle eBusiness Audit Trail Reports with XML Publisher and Design Patterns for Database Reports with XML Publisher and Email Bursting). These reports are of one of several types of batch program, or concurrent program that can be defined within Oracle eBusiness. 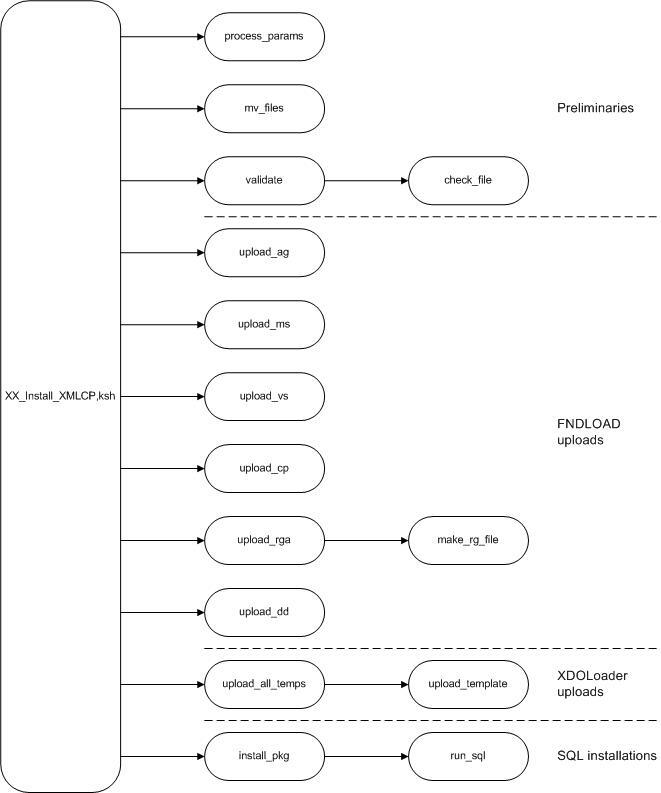 Oracle eBusiness uses a number of metadata tables to store information on the programs, and in release 11.5 Oracle introduced a Unix utility called FNDLOAD to download the metadata to formatted text files to allow them to be uploaded via the same utility into downstream environments. At that time batch reports were generally developed in the Oracle Reports tool and typically there might only be two text files (known as LDT files after their extension), for the program and for associated value sets, and maybe one for request groups (which control access to the reports). The executable report file, the RDF, would just be copied to the target environment server directory. I wrote a set of wrapper scripts for the utility to streamline its use and to deal with a number of issues, including handling of audit fields, with a structure consisting of a separate pair of scripts for download and upload of each type of LDT file. I published these on Scribd in July 2009. 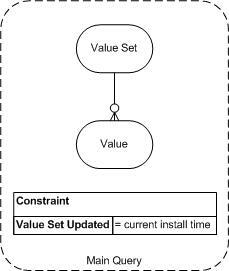 In working more recently with Oracle’s successor reporting tool, XML Publisher, I found that the number of objects involved in installation has increased substantially. As well as the LDT files there are also now XML configuration files and RTF (usually) templates, uploaded via a Java utility, XDOLoader. Installation also involves at least one PL/SQL package. For example the email version of my model reports (see the second link above) had 11 configuration files. For this reason, I decided to create a single script that would copy, upload and install all objects required for a concurrent program of any type, and I describe the script in this article. Here is my original Scribd article, describing the issues mentioned, and with the original individual upload and download scripts. The new script is here XX_Install_XMLCP_ksh, and here is the MD120 from the model article that uses it. The script operates on an input TAR file containing all the necessary files. The TAR file is called prog.tar after the program short name prog, and contains a directory also called prog with all the installation files. The installer uses relative paths and assumes that the TAR file, with the installer, is placed in a directory below the custom top directory, say $XX_TOP/rel. All loader files are copied to $XX_TOP/import and SQL files to $XX_TOP/install/sql. After installation, a new directory will remain with all the installation files for reference, $XX_TOP/rel/prog. The internal call structure of the Unix script is shown below. The script operates on an input TAR file containing all the necessary files. 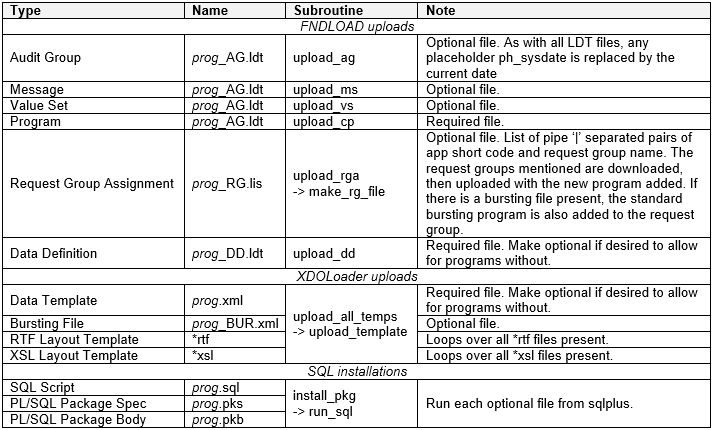 The following table gives a few notes on the main program and preliminary subroutines. 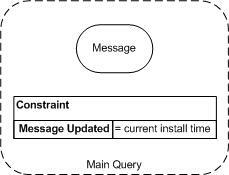 The following table gives a few notes on the upload and SQL subroutines. 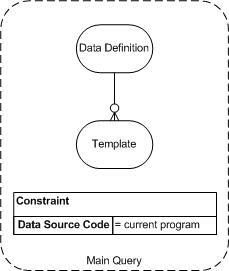 The remainder of the article lists the queries with diagrams and examples of output. SELECT mes.message_name "Name", mes.message_text "Text"
SELECT fvs.flex_value_set_name "Value Set", Count(fvl.flex_value_set_id) "Values"
SELECT prg.user_concurrent_program_name || ': ' || prg.concurrent_program_name "Program", fcu.column_seq_num || ': ' || fcu.end_user_column_name "Parameter"
SELECT xdd.data_source_code "Code", xtm.default_language "Lang", xtm.default_territory "Terr"